What happened to the roads? It is 9:02 am and the road in front of Alaknanda market in South Delhi is a noisy labyrinth of vehicles and their confused drivers. People step out of their cars, muttering expletives, to find who has caused today’s traffic jam. The culprit happens to be a black SUV, parked almost in the middle of the road. As honking reaches its peak, the car owner emerges from a nearby store carrying bread and eggs. He saunters towards the car. “These people can’t walk to buy their supplies. He must be living in one of those blocks,” complains an auto rickshaw driver, pointing towards residences adjacent to the market. Traffic clears up momentarily when the car owner drives away. But the road is so cluttered that stopping a car here is just not an option. If a car were to break down, the resulting traffic jam would bring utter chaos. A recent study by Delhi-based non-profit Centre for Science and Environment (CSE) titled, "Know your Neighbourhood—Move Free: Unlocking the traffic gridlock in our neighbourhoods", puts a spotlight on this congested stretch of Alaknanda Road. The road is flanked by residential complexes, markets and schools and is near Greater Kailash Part II and Chittaranjan Park. The stretch, originally designed to carry about 1,000 vehicles an hour, actually carries more than 2,500 vehicles an hour. The study found that the thoroughfares—either 24 m or 18 m wide—are already burdened due to multiple car ownership and exploding through-traffic from surrounding arterial roads. These arterial roads do not have adequate street network to allow more efficient dispersal of traffic. Down To Earth visited Alaknanda and found several lapses which could easily be overcome if the resident welfare associations, market association, institutions in the vicinity and the authorities paid heed. Gyanvir, a bus conductor for one of the schools in Alaknanda says that children have to wait for 10-20 minutes in the sun almost every day for the bus to arrive. This also causes them to get late for school. “Parking is causing a lot of trouble. People take wrong turns and cause snarls,” he says. Why are parked cars posing a problem for moving traffic? Alaknanda Market Association President Harish Nagpal explains that the parking lots in the locality have been encroached upon by taxi stands. Unauthorised vehicles are also parked here, mostly by people residing in Delhi Development Authority (DDA) flats and Tughlakabad Extension which are up to a kilometre from the market. That is why shoppers end up parking their cars on main roads. There is no place to park inside. MCD used to charge a parking fee but the practice has been discontinued. With no resolution in sight, cars end up being parked illegally for four to five days. “Shopkeepers and customers have parking which is occupied by taxis. At least 50 taxis are parked here when there is space for only four taxis at a time,” Nagpal says. He demands that these cars be removed by the authorities. CSE’s own findings show that residents from localities near Alaknanda occupy car parking around the market by spending about Rs 1,000-1,500 for every four wheeler per month. Alaknanda has a relatively smaller market designed to cater to the surrounding residential areas. Even though the adjoining main road connecting Alaknanda to Mehrauli-Badarpur Road is not an arterial road, it remains clogged with traffic. Neeta Uppal, a resident of Greater Kailash Part II, prefers to come to Alaknanda Market to shop for essentials. Her house is less than a kilometre away but she comes in a car. “I have a child. Crossing the road with a child is difficult as there is no proper pedestrian crossing. I can’t come here in the evening during peak hours as there is no parking available,” she explains. When asked if she would consider walking to the market, she says she will walk if there are better footpaths, but only in winter. The CSE study found that a quarter of all visitors to the market come from within 1-2 km and another 20 per cent from within 2-3 km of the market. Overall, 77 per cent of all shoppers are within 4 km of the market. A stunning 48 per cent—almost half of all shoppers and shopkeepers—come by car and 23 per cent by two–wheelers. It is not surprising then that Fateh Singh, a resident of DDA apartments in nearby Kalkaji, identifies lack of parking as one of the main problems behind the congestion. He says that after five in the evening, there is no parking available for people living in these apartments. “Road to our houses are blocked. We do not get space to park here. Sometimes we just walk down to the market. Even footpaths are not clear. There are cars parked on either side. Sometimes accidents happen because people are forced to walk on the roads. I think cars started increasing after they stopped charging a parking fee,” he says. The market association president agrees. 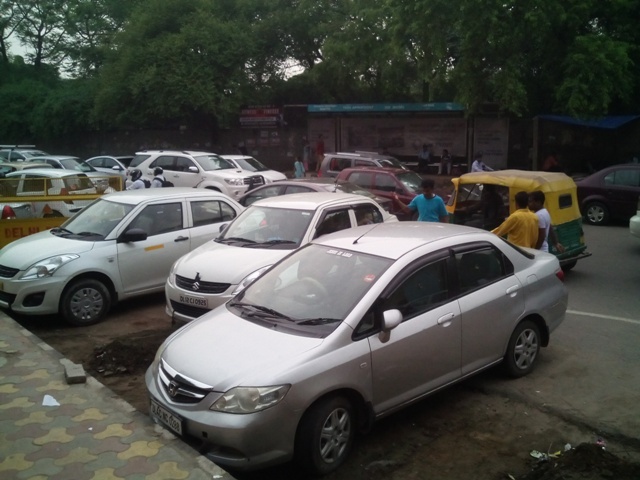 After South Delhi Municipal Corporation stopped charging a parking fee, the parking lots were taken over by touts who used them to park taxis. “There is much more space to park than what residents, shopkeepers and shoppers require. 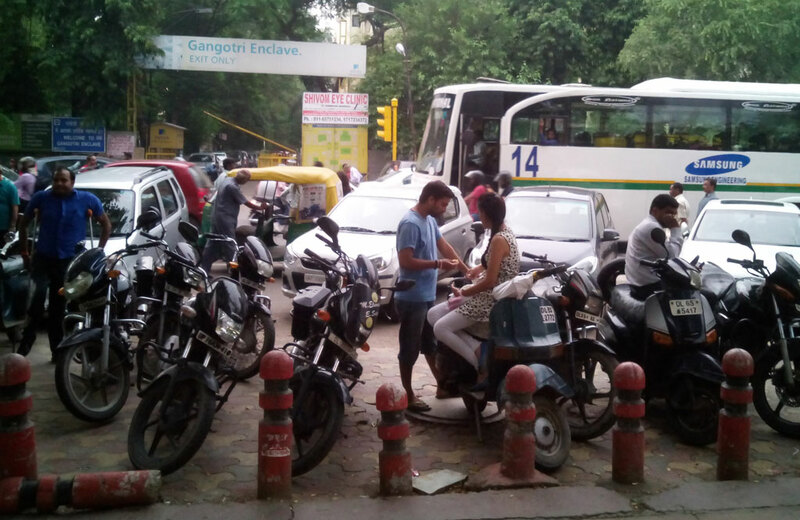 But this has been taken over by unauthorised parking mafia,” Nagpal adds. With better planning, street vendors operating near the market would also fare better. Totaram Bamne, a cobbler who sits on the pavement in the market, admits that people face difficulties while walking to the market because of vendors like him. “There is no space for street vendors. While no one has asked me to move from here, I know that people find it difficult to walk. The main reason is, however, badly parked cars which even cause accidents at times. People do not listen,” he adds. A CSE street safety audit has shown that footpaths are available in around 70 per cent of the total length surveyed in Alaknanda. However, only 20 to 25 per cent of the footpaths are designed according to the norms. This dissuades people from using them. President of Resident Welfare Association for Yamuna Apartments, Rama Bhadran, says the recent construction of a road divider or median has brought both benefits and losses to the residents. “The median was a catch-22. It was extremely difficult to cross roads without the median. 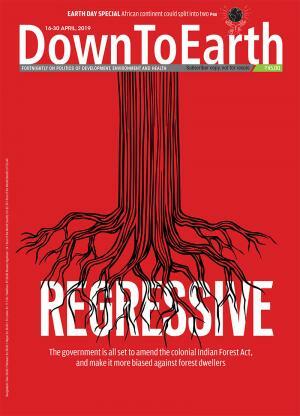 But now it has shrunk the road,” Bhadran says, demanding a holistic approach to solve the issue. Ashutosh Dikshit, chief executive officer of URJA, a Delhi-based non-profit working on traffic and congestion issues, says that it is now time for politicians to make hard decisions instead of pleasing vote banks. “There is no easy solution for Alaknanda. Ease of access will not be the same for everybody. For example, if someone has to take a U-turn, it will not be the same for every resident. It depends on the geographical location. Law implementation is exceedingly weak,” he adds. Dikshit suggests that high parking fees must be charged and the money should go towards improving public transport. “Disincentivise car purchase. Encourage car pooling. Completely remove subsidisation of car parking. For a paltry sum of registration that you pay to the authorities, you can occupy crores worth of land by simply parking your vehicle and squatting on that piece of land forever. Since cars have no stocking costs, you can buy any number of cars without thinking about stocking costs. We should make car parking expensive by the day. Start using the money to subsidise and incentivise public transport,” he says. Better public transport will not only decongest the area but also improve the air quality for residents. » A quarter of all visitors coming to Alaknanda Market are from within 1-2 km and another 20 per cent from within 2-3 km. Overall, 77 per cent of all shoppers are within 4 km of the market. » Parking is free in Alaknanda. The locality can generate Rs 13 lakh a month from parking at current rates. On-street parking on Alaknanda Road is already 3.15 times more than the notified legal parking area. » The zebra crossing is visible at only 10-15 per cent of all crossings on the road. » 84 per cent of car users visiting Alaknanda Market travel alone, showing very poor car occupancy. 48 per cent—almost half of all shoppers and shopkeepers—come by car and 23 per cent by two–wheelers. » Footpaths are available in around 70 per cent of the total length surveyed in Alaknanda. Only 20-25 per cent of the total road stretch surveyed meets norms for construction of footpaths. » Eight hourly averages of Particulate Matter (PM) 2.5 levels exceed 322 microgramme per cubic-metre. Night time pollution hit as high as 787 microgramme per cubic-metre—much beyond the safety limit. » Chittaranjan Park (CR Park) has already used up 28 per cent of its geographical area for parking. If the entire CR Park area is built to the maximum allowable floor area ratio permitted under the Delhi Master Plan of 2021, then according to norms, demand for parking in the area will be close to 75 per cent of the colony’s area. » Public transport has gone down in CR Park. Of seven bus routes run by Delhi Transport Corporation (DTC), only one is operational. 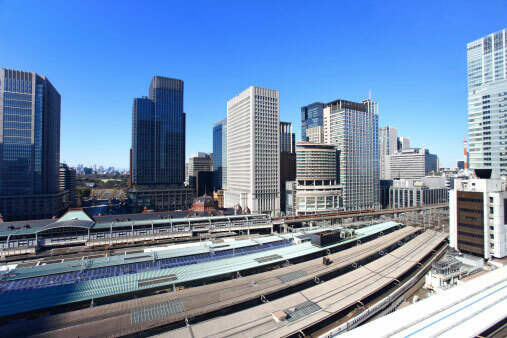 » In Tokyo, legal parking areas in residential neighbourhoods are limited and are priced. This has led to a thriving rental market where people pay rent to privately-managed neighbourhood parking lots. » Kolkata has very high street density and a high proportion of narrow streets less than 18 m wide (as in Chittaranjan Park). Kolkata Municipality does not allow night-time parking on these streets in residential areas. This has led to development of a private off-street parking rental market. » In cities in Rajasthan or in Gangtok, Aizawl and Shimla, buying a car without proof of legal parking is not allowed. United Residents' Joint Action (URJA), CEO Ashutosh Dixit, talks about way to reduce the burden of cars from Delhi roads.